The cherry wood is a beautiful piece of woodwork used in my simple and elegant small monitor stand from Understands. I have a narrow desk, don’t like clutter, and this is the perfect understated Bolt 9” monitor. Very pretty and sturdy that will last forever. This stand is exactly what I needed! 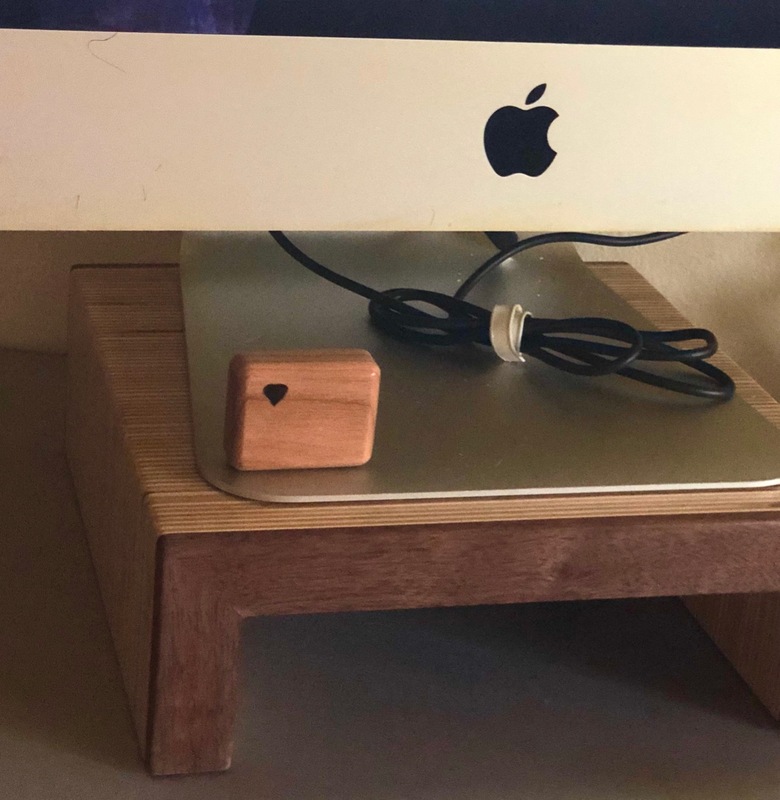 It gets the iMac higher than most of the other stands out there so I can have a comfortable viewing angle, and it is solid, well built and attractive. Before I got it I was worried that perhaps the iMac would be unsteady on such a relatively small surface, but it's like a rock up there and doesn't budge. Cheers to Understands for making such a useful, high quality stand at such an affordable price! Highly recommended.